SWISSGEAR Backpack Scholarship and Giveaway! For a number of years the good people at SwissGear.com have been equipping college students for success with their abundance of travel gear and backpacks. So, it seems only natural that they would establish the Ultimate Backpack Scholarship program to support students through the financial aspect of their college experience. SwissGear is providing financial support to students this year in the form of three scholarships – one is for $5,000 and the other two are for $2,500. These scholarships are available to incoming freshman in addition to currently enrolled graduate and undergraduate students! To be considered for the scholarship, all you have to do is submit an application and a brief essay (500 words or less) that describes the perfect backpack. The application deadline is August 31st. 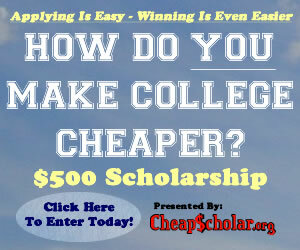 The scholarship submission form along with additional information can be found here. CheapScholar.org is pleased to share that SwissGear.com is providing a special giveaway for one of our readers! Up for grabs is the SWISSGEAR 6752 SCANSMART LAPTOP BACKPACK! This backpack represents a successful blend of style and functionality. Whether you are on the go at campus, work, or the airport, the SWISSGEAR 6752 is an excellent companion to protect and carry all your essential gear! Want to learn more about the backpack? Check out the specs here! Each of the methods above will give you an entry into the giveaway. So, you could potentially have up to five chances to win the free SCANSMART LAPTOP BACKPACK from SwissGear.com! This giveaway will close on Thursday March 10th at midnight (Eastern Standard Time). I will randomly select a winner (using the wonders of technology – Random.org) from the entries and announce the lucky recipient on this article. The winner has a week to contact me and arrange for delivery of the backpack. If I don’t hear from the winner, I will randomly select an alternate. Hope you enjoy this giveaway. If you know of any deserving people that could make good use of a free backpack, please feel free to utilize the “share tab” to pass this information onto them. Congratulations to S. Kaiser!! She is the winner of the SwissGear Backpack! Enjoy!! to carry stuff to work. I would give this to my son who is in college. Perfect for carrying his laptop and books. That is an awesome looking backpack. I use backpacks all the time when I go hiking or walking. I would use this as my work bag. My son would love to have this for college. I would love to have this for college! My husband could use a new backpack. I like to win for my kid. I would give this backpack to my brother who just got a new laptop! I would use the backpack to tote my laptop on planes so I can get work done while traveling! I would give this backpack to my husband to take to work. I know he would add weights to the backpack and use it not only to carry work supplies but for his workouts! i would use this for work travel! Perfect for traveling, it’s a nice bag! I’m following on twitter @rusthawk. I’m a current facebook follower. I would use this for school and for working at my summer camp! I would love this for work. My current one is starting to come apart. I would give this to my husband to carry his laptop when travelling. I would use it for school and travel. I have wanted a Swissgear backpack for years! I’d give the Swiss Gear backpack as a great reward to a student in the family. I would give the backpack to one of my teenagers for school. My son would love to use this to take his clothes to the gym. We are full-time missionaries and do lots of traveling so this backpack would be perfect for us! I would use the backpack to carry my laptop, school books, and everything else that I use for my photography. I would use for travel…carry-on bag. I would use this for college this fall. I use a backpack every day for work and life. Would love another! 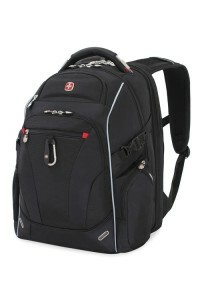 I would use the SWISSGEAR 6752 SCANSMART LAPTOP BACKPACK for work. I would give this to my son for school. Thank you! I travel a lot so this backpack would be used almost all the time traveling all over the world! Would win it and give to my teen that would use it to carry laptop while on vacation, along with books to keep her entertained. We home school so her books are here but the backpack would also be used to carry change of clothes while visiting amusement parks when they get soaked from rides, etc. It would get great use and constant use. I bought a Swiss Gear backpack and I’ve had it for 11 years for my computer. It still looks brand new and is one of the best products I’ve ever invested in. I 100% feel that my computer is safe and secure; no matter what I’m doing. If I win, I would give it to my husban, so he can have the same quality brand carrying his computer around. He’s very jealous of mine! My teen would use the backpack to carry her laptop. How would I use this? I have a boy here is beyond any character stuff right now… he only wants more “manly” stuff now. This would be perfect for him! Durable!!! I love this gear. I would give this to my nephew to carry his laptop to college. He is starting college this year and can use all the help he can get!! I absolutely LOVE the specs on this SWISSGEAR 6752 ScanSmart Laptop Backpack!! It seems like it would be wonderful for protecting electronics. I’d use this for work every single day. Thanks for the chance! I have liked on FB, followed on Twitter, tweeted about the giveaway, and writing this. I have a special needs pre-teen who loves bookbags….and got his first Swiss tool at 9PM. Thanks for the chance! Lovely giveaway! I will most certainly use this bag for travel & Thank you! I could use this backpack to carry my son’s laptop to school. I would use this backpack for taking my laptop around with me. The bag I use now is larger and not as friendly. This would be amazing for my son to use for college he needs a really nice bag to carry all his stuff in to class! I would give this to my husband for hiking. I’d give this to my son for school. I would use this backpack for my son for college, it would be ideal. I would give this to my college-aged daughter. Subscribed by email. Thank you for the chance. This will be very useful? I would use this nice backpack for roadtrips. I would use my backpack on daily adventures. 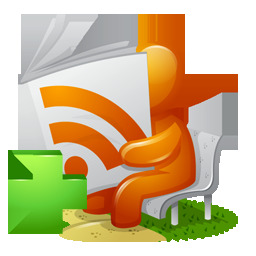 I subscribed to receive your informative articles via email! I would use it for traveling. I have a grandson taking dual credit high school and our local college. He could sure use this. This would be perfect for camping trips! I would use this backpack when traveling, it would make a great carryon bag! I would let my son use the backpack for his college classes! I would use it to put my things when I go out. Follow on Twitter and Like on Facebook and mentioned this on Twitter. I would use it for my work stuff. Liked CheapScholar.org on Facebook as Austin Baroudi. I would give this backpack to my son who would love to use it for school. As a gift for my daughter….maybe. I’d love this for travelling and commuting. I would use my backpack for work. I have to take my laptop home now and then and it would be wonderful to have a sturdy backpack to keep it safe! Thanks for the chance!! i would use this backpack to take my stuff in and out of work. My son is starting college so I would give it to him. I’d use it for work. My son would use this for college! I would use the backpack for my laptop and carrying it around with me while i’m on the go. It looks like a wonderfully sturdy, solid, and stylish backpack! two sons in college this fall. this would be nice! Would love this!! I travel a lot for work and this would be perfect for my laptop!! Thanks so much!! I would use this for travel and school. I would give this to my son who is in college. I would use mine to go hiking and my son would use it during the school season as well. I liked CheapScholar.org on Facebook as Lyndsey Rullman. I would let my daughter use it for school. Daily life and travel it looks solid and fun. All done! Perfect for travel! What a great backpack! This would be perfect for my teen daughter for using heading off to classes that she’ll be taking this summer! I’d use this backpack when I travel. I would use the backpack this summer while traveling abroad. I subscribed to your newsletter via email. I would love to use this for my daughter who will be starting her first session in college in a few months! I happily follow on Facebook as Lissa Crane! I like the lay-flat design! It would make it perfect for my carry-on when I travel! I would use it to take to Dr. appointments. Thank you. This would be great for work! I’d love to use this to carry all my stuff around. Thanks for the chance to win this awesome backpack! I would use this for my work laptop I have to carry back and forth to work everyday. I would give this to my granddaughter. She starts high school next year. I would love to have this for my teenage kid who just enrolled in school at CU Boulder! Go Buffs! I would use it for camping and hiking. It could even hold my camera! I always have tons of stuff to tote around.. It could change daily what I would bring in it! I would give it to my husband to use for work. I would use it for packing all my summertime stuff with the kids. Would love this SWISSGEAR 6752 SCANSMART LAPTOP BACKPACK for my nephew, a college student who gets around campus / town on a mountain bike. I would use this backpack for my hiking and fishing trips! I would use it for when I travel. It’s always good to have at least a change or two of clothes and all the necessities in a backpack and carry the rest in a suitcase. I would give the backpack to my boyfriend to use when he travels. I would give the backpack to my daughter, who is in college, & she would use it to carry her books while on campus! I still use transit to commute, so everyday is like a little trip for me; this will be very useful to schlep my laptop and necessities. Leave a Reply to Maria C.